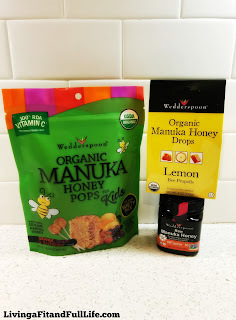 Living a Fit and Full Life: Wedderspoon Manuka Honey Products that are Sure to Please! Wedderspoon Manuka Honey Products that are Sure to Please! Our mission is to provide our customers with authentic organic, superior quality products, which benefit both themselves and the environment in an honest, responsible and ecologically sound manner. Wedderspoon Manuka Honey Products that are sure to please! I had the pleasure of trying the products above and as an avid honey lover, I'm impressed. 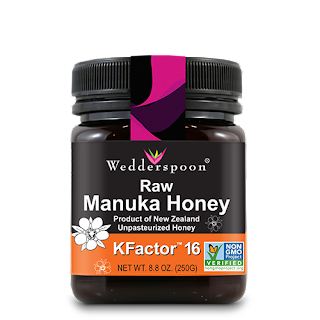 WEDDERSPOON RAW MANUKA KFACTOR 16 is such an amazing product with so many benefits from uses in home remedies, beauty regimes, in active lifestyles or in the kitchen. It's the perfect honey and it tastes amazing. It's incredibly smooth and even comes in a BPA free non-leaching poly jar. It's so incredibly good I often find myself eating it straight out of the jar! 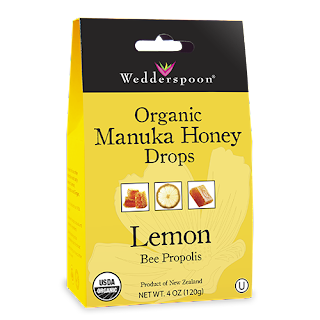 WEDDERSPOON ORGANIC MANUKA HONEY DROPS WITH LEMON are also incredibly delicious! As someone who suffers from allergies I love sucking on these and have found my allergy symptoms subsiding since using these. 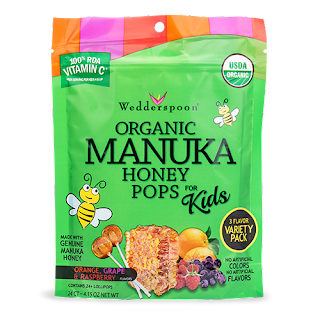 ORGANIC MANUKA HONEY POPS VARIETY PACK are such a sweet treat! I love the flavors, as do my kids. I love that they're made with rare organic Manuka honey and other natural ingredients and contain no artificial colors or flavors. If you're looking for a healthy treat your kids will love, these are perfect! Wedderspoon Manuka Honey Products are totally incredible and are sure to give you all the amazing benefits of the wonderful Manuka Honey! Click HERE to find a store near you that sells Wedderspoon! Click HERE to learn more about Wedderspoon! Follow Wedderspoon on social media!